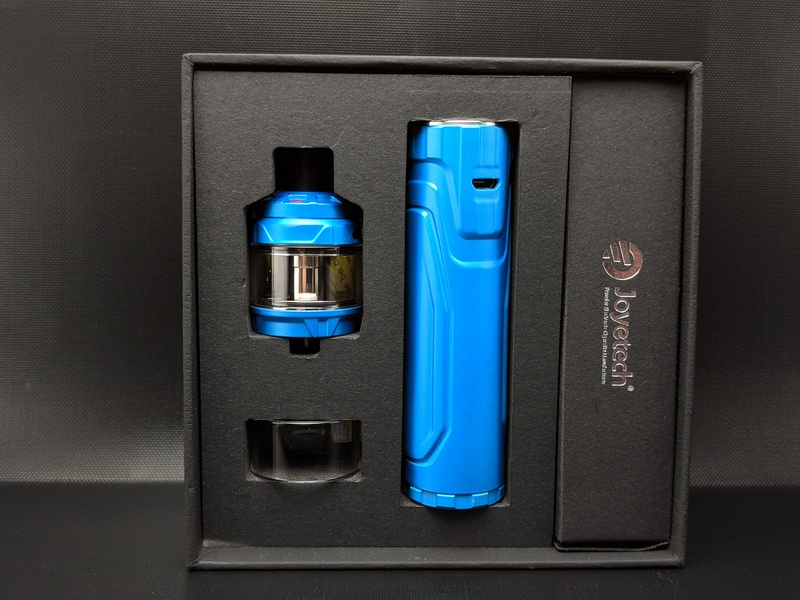 Here’s a look at an interesting new kit sent over from Joyetech. 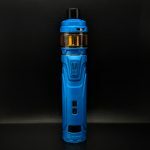 It boasts an innovative new coil system that really isn’t like a standard coil at all which Joyetech calls an NCFilmTM heater. 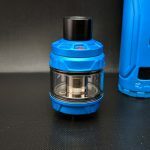 It comes packed with a new and improved Cubis tank but also ships with a rather impressive regulated tube style mod. 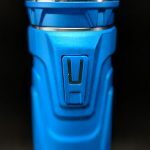 I don’t want to give up too much in the intro so here are my honest thoughts on the Ultex T80 with Cubis Max from Joyetech. 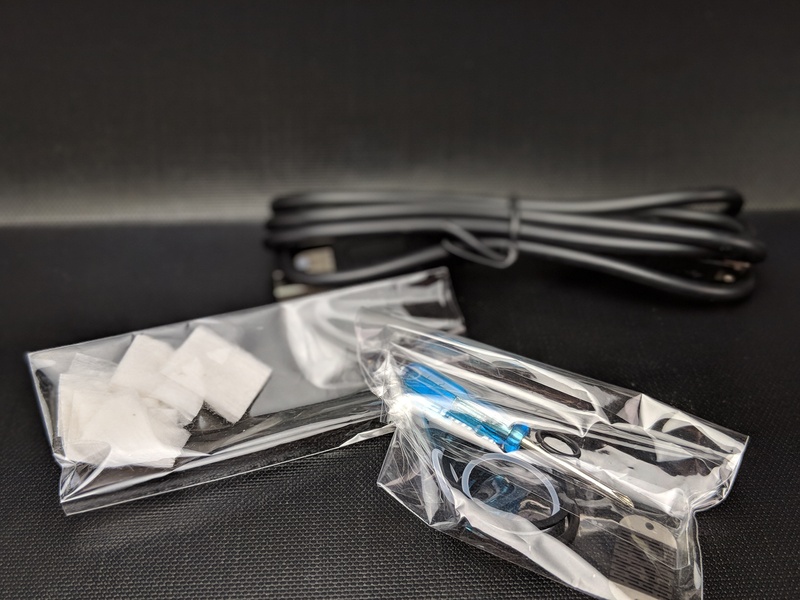 The kit comes packed in a fairly big box with an image of the kit on the front and a listing of the contents, some basic info and an authenticity check on the back. It’s mostly black cardboard but the front illustration is colourful with an outer space sort of theme. Inside the kit is kept safe thanks to a cardboard lined sponge insert and all of the extras come packed in a nice cardboard box. 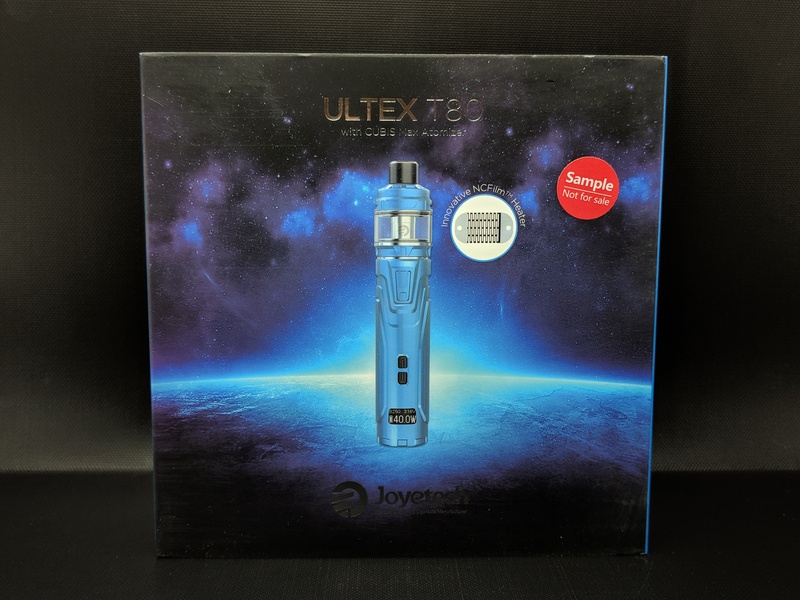 In the kit you get the Ultex T80, the Cubis Max, a spare glass, a manual for the tank and one for the mod and a warning card. 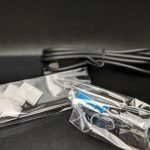 Inside the box of extras you get a bag of pre-cut cotton squares, a micro USB cable for charging and updates and a little bag containing some spare orings, spare Philips head screws, a little blue screwdriver and a spare NCFilmTM heater. 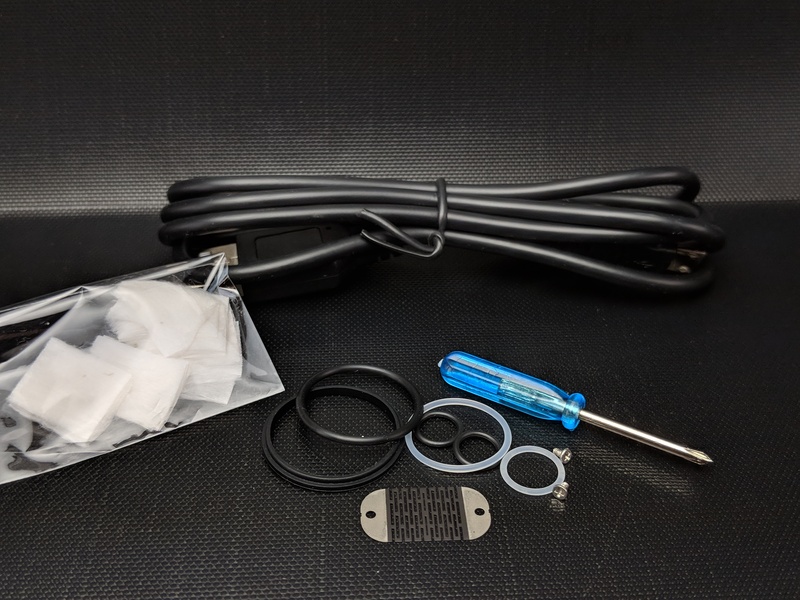 The kit is fully equipped and includes everything you’d need to get started! 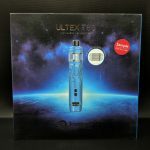 The Ultex T80 is a beefy looking mechanical mod or tube styled device but unlike most mech mods out there it’s actually regulated with a number of built-in protections. It’s a 28mm diameter device that stands 93mm tall 138.5 if you include the tank. It’s available in a number of colours including matte black, silver, gold, sky blue and dazzling. It’s really different looking, heavily stylized and something about it reminds me of Master Chief from Halo, mine is the sky blue version so really it’s more like Private Church if you’re at all familiar with the reference. As we all know taste is subjective but I think it actually looks pretty cool if not a bit sci-fi futuristic. 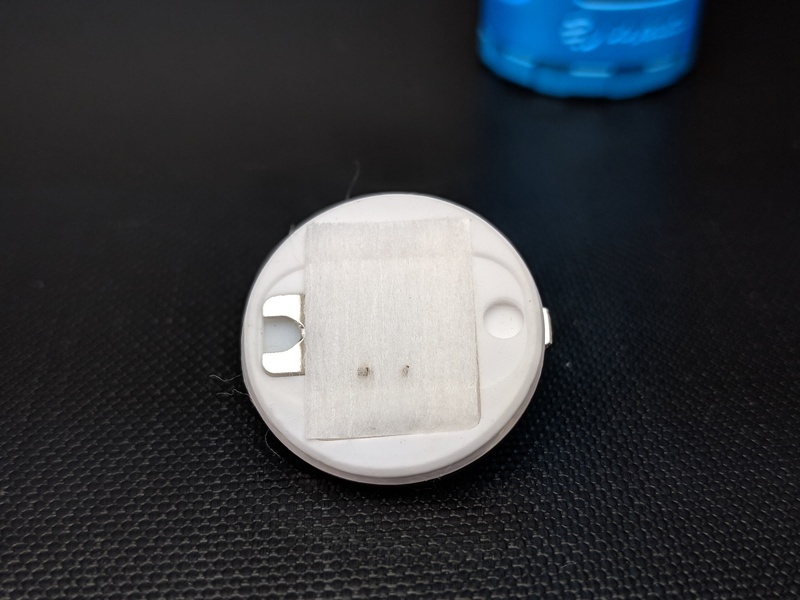 They don’t list the material it’s made of but I believe it’s a combination as the metal of the battery cap seems different from the rest so it’s probably a combination of some sort of alloy and some stainless steel parts. The thing is also pretty hefty and weighs in at 163g and that’s without a battery inserted. 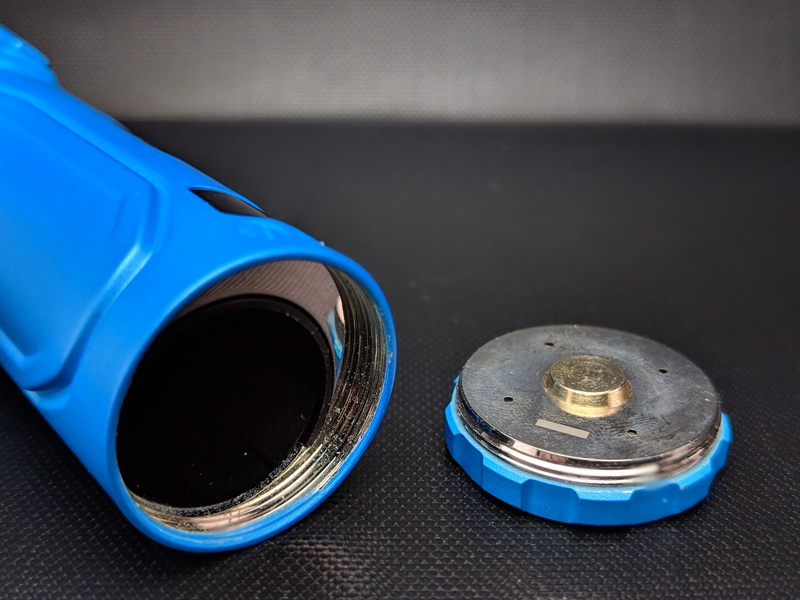 Based on the size you’d think it would support 2×700 batteries but it actually only takes a single 18650, the rest of the room inside the device is taken up by the circuit board and other components. 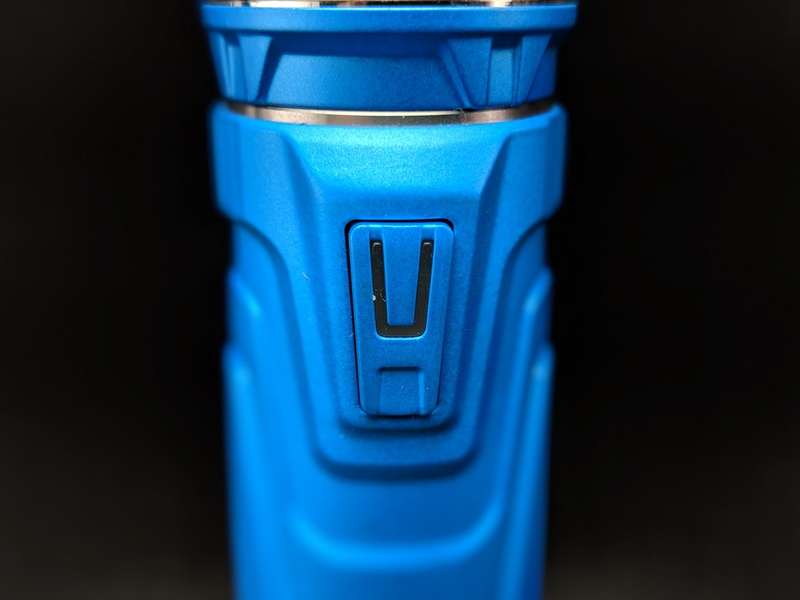 To access the battery you unscrew the bottom cap which is clearly marked with negative and if you look in the barrel of the mod you can see the positive end is also clearly marked. Even so with those built-in dual circuit protections I mentioned like reverse battery, 10s cutoff, over-charging and short-circuit protection you should be safe even if you accidentally put it in the wrong way. 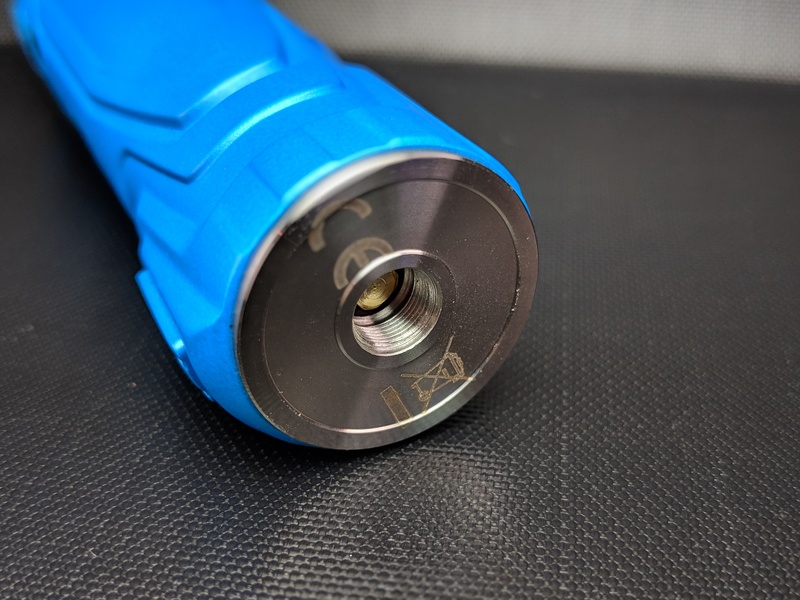 At the top of the device it’s got a pretty standard looking 510 connection with stainless steel threads and a gold plated spring loaded 510 center pin. 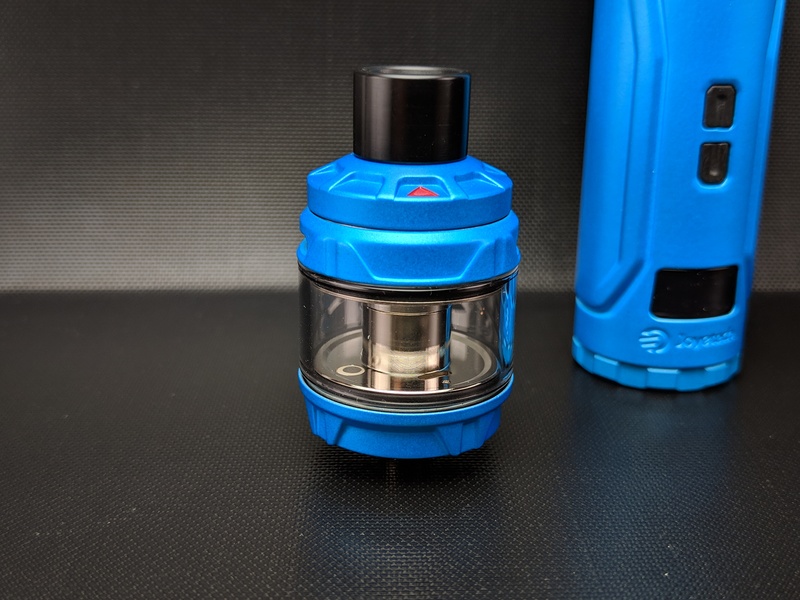 It’s 28mm in diameter so it should fit some really big atomizers and it lines up perfectly with the Cubix Max tank that the kit includes. 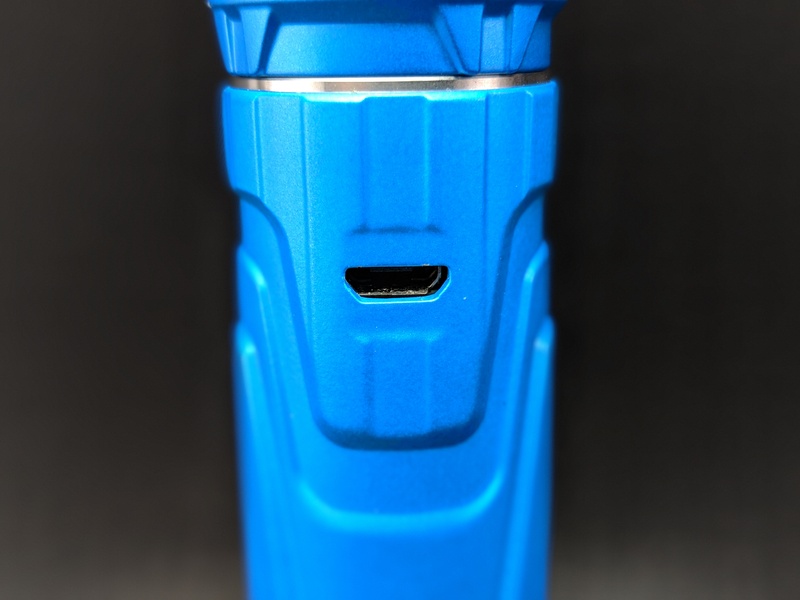 Down the face of the mod it’s got a light up fire button that’s shaped sort of like an inverted trapezoid. On the button it has a ‘U’ shape which is the part that actually lights up when you press the fire button. It juts out from the body of the device quite a bit which makes it really easy to find with your finger or your thumb. A lot of styling has been incorporated in to the body of the mod to help it all flow together. Just down from the fire button are the +/- adjustment buttons. They are also shaped like the letter ‘U’ and sit nearly flush with the surface of the device which I imagine is to help reduce accidental presses. They’re still really easy to press and both the fire and adjustment buttons have a nice click to them without any button rattle. At the very bottom of the face is the little 0.49″ OLED display. It’s actually a bit on the dim side and unfortunately I couldn’t find any way to up the brightness of it. Luckily you’ll most likely be setting it and forgetting it but I wouldn’t have minded it being a touch brighter for when I’m in bright light conditions. 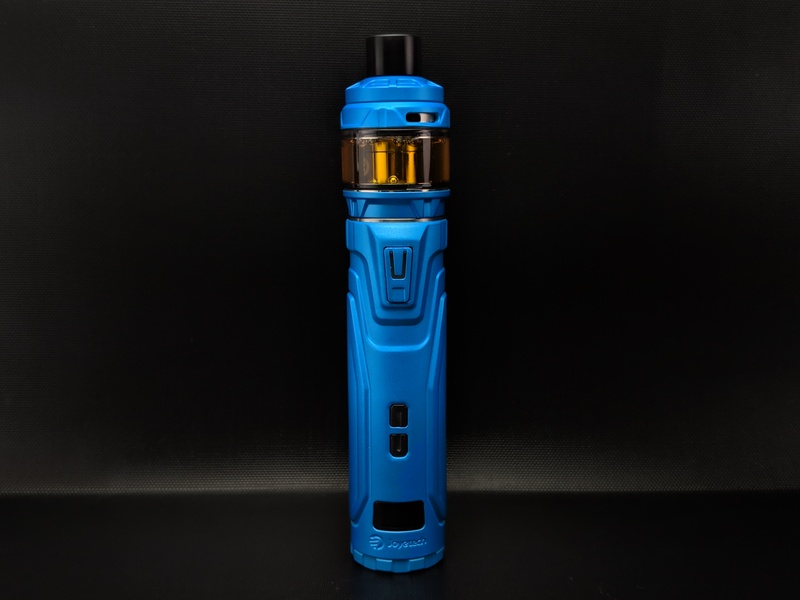 The information on the screen is well laid out and includes the current resistance, the voltage it will fire at, the current wattage and a battery bar to indicate remaining battery life. In TC mode it will display the battery bar, resistance, wattage, temperature, material or memslot as well as Celsius or Fahrenheit. 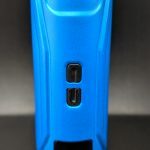 On the side opposite the screen around where the fire button would be is the micro USB port which I’m happy to say supports 2A charging so topping up should be a relatively quick affair depending on the capacity of your battery. 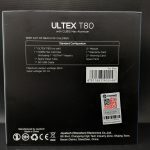 Another great feature of this device is it supports firmware updates so in the future they can potentially add new features or fix any bugs that might crop up. 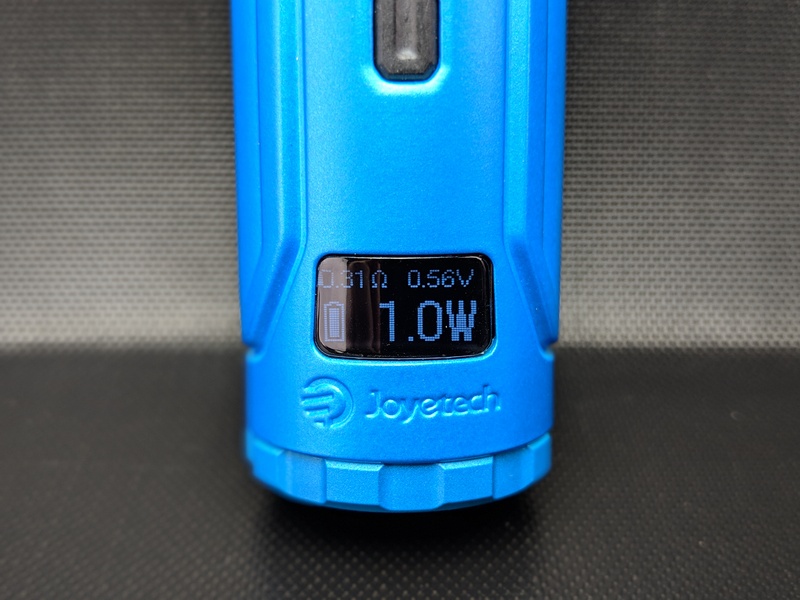 Using the device will feel very familiar to anyone who’s used a Joyetech or an Eleaf mod before as the chip they are using appears to be almost identical to the one found in recent iStick Pico mods. 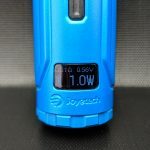 Joyetech and Eleaf are sister companies so it’s really not much of a surprise that they share some of their tech. It uses the usual methods to turn it on and operate it with five clicks to turn the device on and off, three clicks to enter the mode menu and pressing fire and + will bring up the main menu. In the mode menu you’ve got options for wattage, bypass, temp Ni, temp Ti, temp SS and three TCR mem slots. 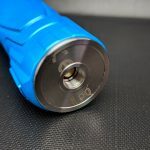 Wattage lets you adjust your wattage manually, bypass basically just fires directly from the battery so whatever your battery has left will go to your atomizer however it still keeps the built-in protections in place should anything go wrong. Temp control for Ni, Ti and SS are included but also three TCR mem slots should the default profiles not suit your needs. In the main menu you’ve got a sub parameters menu which lets you select between puff count, puff time and Volt and whatever is selected last will display on the main screen. It’s also got options for stealth mode, pre-heat, logo, version and battery voltage. Stealth mode just turns off the screen when firing while pre-heat lets you configure a pre-heat curve by setting a power level and a duration that it will use when firing. Logo lets you download and display a logo of your choice but it needs to be installed manually. Version shows you the version of the hardware and software while battery voltage shows a more accurate readout of your current batteries power. In general using the device is easy and intuitive especially if you’ve used this type of regulated device in the past. It feels accurate and the included functions like TC and Pre-heat all seemed to work according to my basic tests. 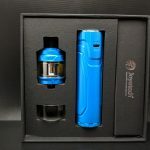 The tank that comes with the kit is the Cubis Max a new and improved version of a rather popular tank the original Cubis. It’s a fairly big tank measuring 28mm in diameter and 50mm tall. 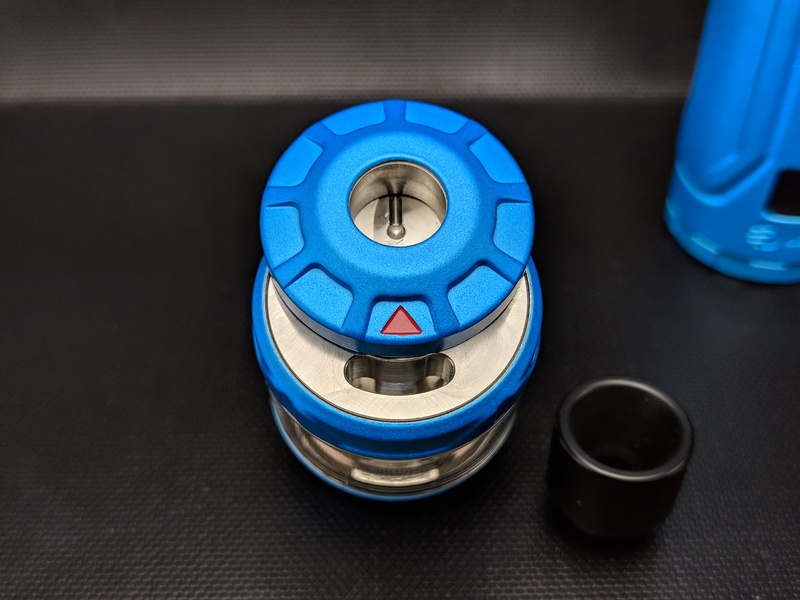 It comes equipped with a pretty standard looking delrin 510 drip tip and has a slide top open top fill port. 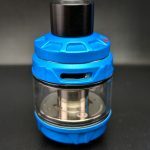 It’s mainly made of stainless steel and includes some of the more common features like top adjustable airflow that we saw on the original Cubis. 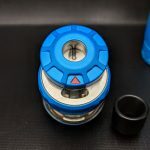 However the new Cubis has undergone a significant change, it no longer uses replaceable BF coils and instead comes with an entirely new concept coil called NCFilmTM heater. 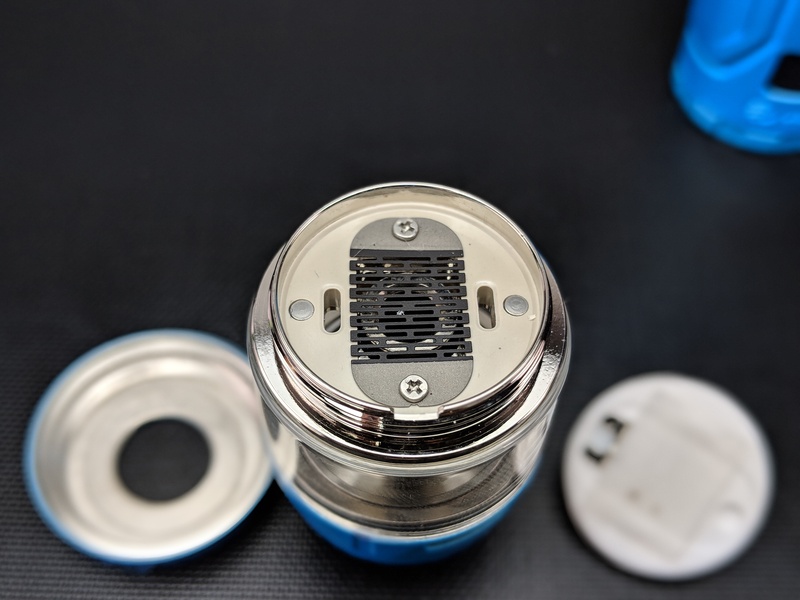 It’s basically a 0.25ohm kanthal heating element that looks like a little grill, that grill sits on a little square bed of cotton which acts as the wicking for this odd looking coil. It might seem a bit unusual at first but if you think about it, it’s just like a section of a regular coil flattened out or like I’ve been calling it a barbecue grill with some wet cotton underneath it. 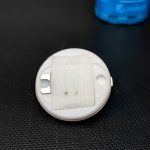 That square of cotton sits in a little square recess in the ceramic lined base and replacing it is just a matter or removing the old one and dropping in a new one. It works surprisingly well and also has the added benefit of being leak resistant since it’s also top airflow, the air comes in from the top and is directed down to the coil via a double walled chimney. It doesn’t draw air across the coil and more or less just scoops from the top which may be why the flavour on this thing isn’t exactly stellar. It’s definitely passable and vapes pretty well but for me at least the flavour is a touch muted. It’s also a bit of a wet and warm vape even running it at the recommended 40w it would start to get a bit warm. It performed a bit better bumping it up to 45w but the heat definitely increased with the power. I also found if left sitting for a while the cotton would get overly saturated and the first draw would often spit or pop, after the initial draw however it calms down and vapes like normal. They don’t provide a wattage range but it seems to be work best around the recommended 40w. 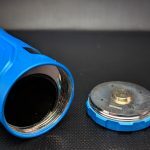 Joyetech estimates coil life with these new heaters to be approximately 3 months but how long your cotton wicking will last will depend a lot on what juices you’re using and your personal vaping habits. Luckily they include a bunch of pre-cut cotton squares so you can easily replace the cotton and they also make for a handy template to cut out your own squares. 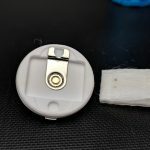 They don’t provide very good instructions on cleaning the coil but you can remove the cotton and kind of dry burn the coil, either that or remove it completely and clean it by hand. 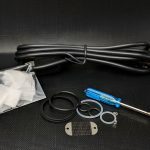 The kit includes a spare heater coil so should anything go wrong with the one that comes installed you can easily swap it out for a new one. It’s held to the bottom of the upper tank portion using two little Philips head screws so it’s a quick swap. 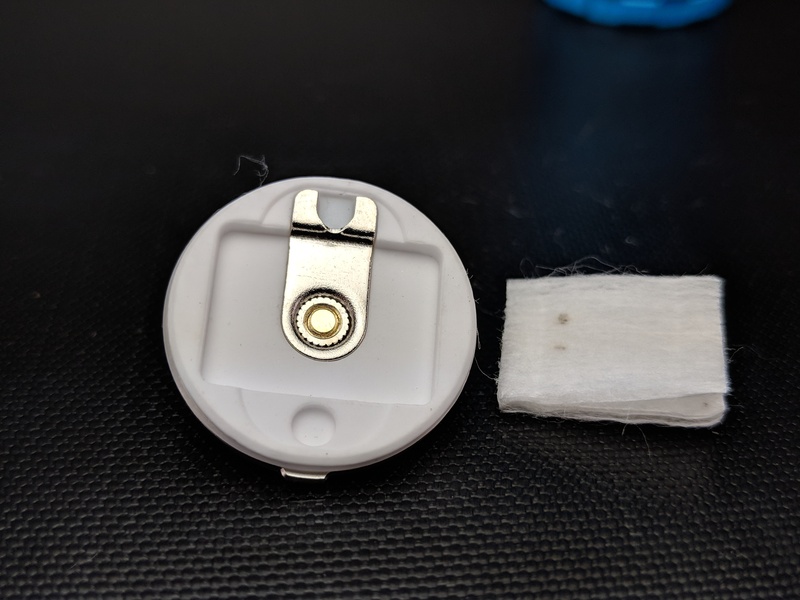 I was able to get about a week and a half out of the cotton before needing to replace it and that was using a really sweet juice so obviously results will vary but the Cubis Max already looks to be a low-maintenance dream for folks who just can’t be bothered to tinker with their gear. 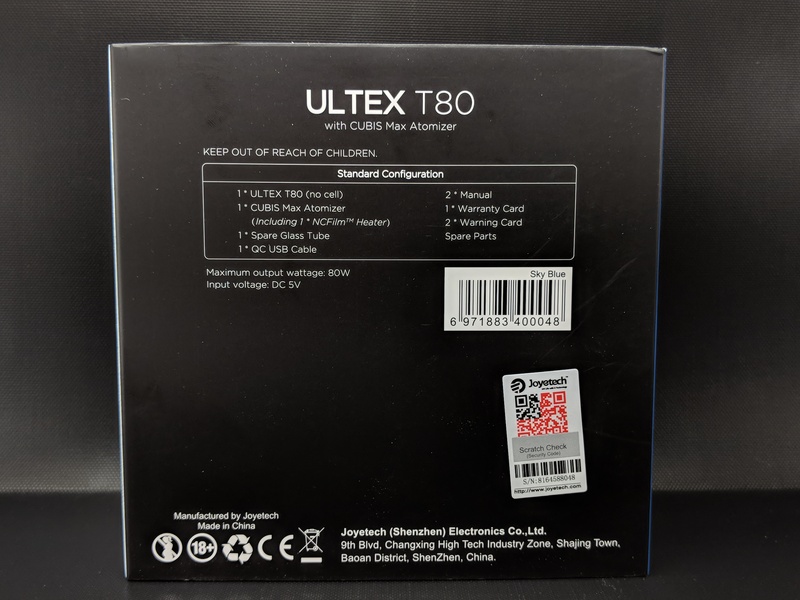 The Ultex T80 with Cubis Max has been a fantastic little kit to play around with. 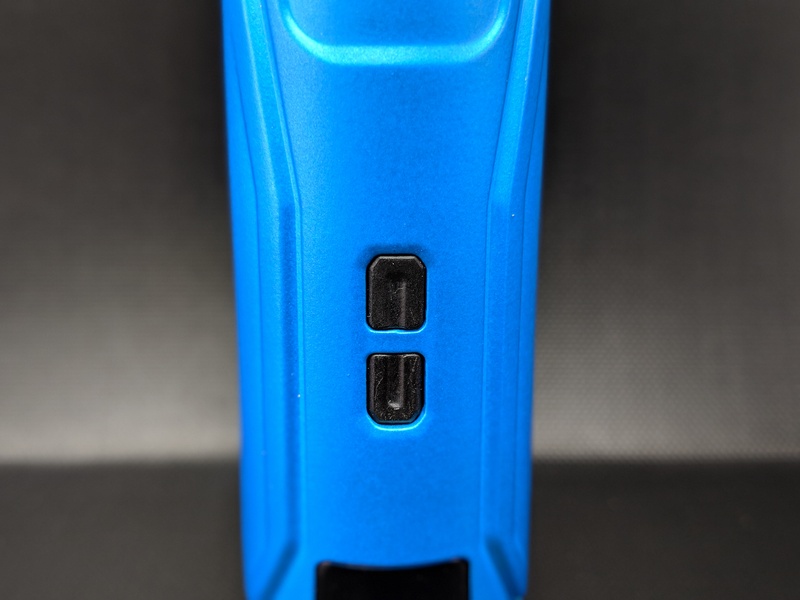 The mod in particular is solid and works very well using a proven chip so I don’t have any complaints there. 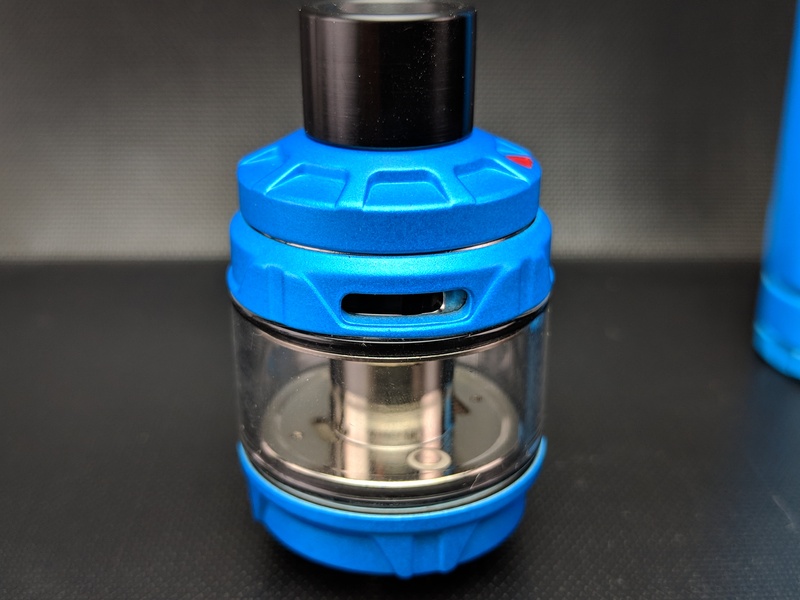 The Cubis Max with NCFilmTM heater tech is interesting and I can definitely see the benefits of a system like this. 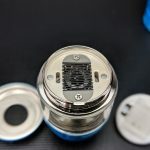 I do feel it has a way to go in regards to flavour but even so as it stands it performs pretty decently for a new concept coil and the fact that they estimate you can get approximately 3 months from a single coil should make it an excellent choice for anybody looking to get a little more out of their current setup. 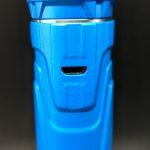 I’m hoping that Joyetech continues to develop this new heater film technology and maybe we’ll start to see it in other implementations soon.